Missing teeth can cause more problems than just the way you look. It can affect the way you chew, the way you speak and even your other healthy teeth. Dentures can replace natural teeth to provide support for cheeks and lips. You can replace damaged or missing teeth with full dentures or partial dentures as an inexpensive fix. At Premier Dental we customize dentures and partials that are affordable and comfortable. Dr. E can provide a full and extensive consultation concluding with a solution. Poorly fitted dentures can be expensive and painful. 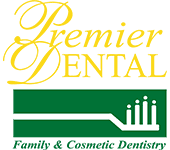 Premier Dental experts can provide you with comfortable and affordable options.